There are many factors to consider when choosing the right kind of siding for the exterior of a home. These factors include but are not limited to the preparation time needed, specific molding requests, current siding, durability, look, environment and, of course, cost. Some homeowners will opt to choose a siding that is similar to other homes in the area or find one that has a similar look and style. Some types of siding are more suitable for particular weather and locations, and cheaper sidings could be less durable than more expensive siding choices. There are also several levels of cost that must be considered before a final decision is made. 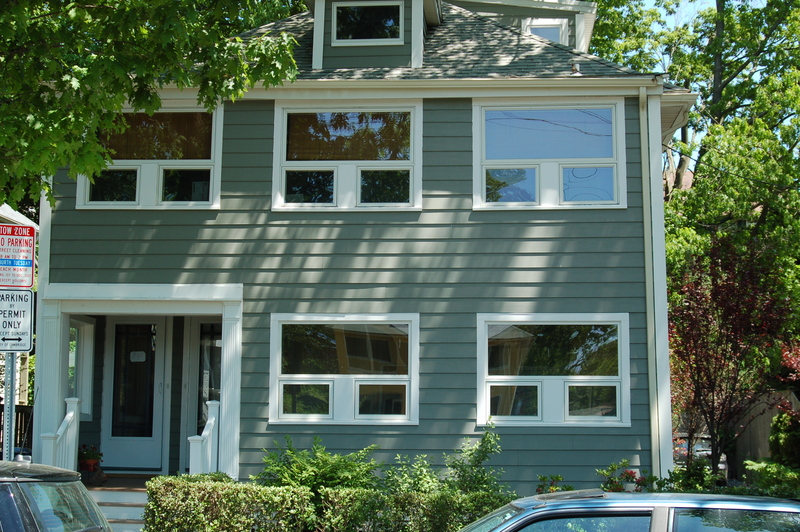 Aluminum and composite siding are two popular and reliable choices for a variety of reasons. They can be painted a variety of colors. Aluminum siding rose as an option to replace old wood siding that was both susceptible to damage and very hard to clean and maintain in general. Because it was a metal siding, it is a naturally more durable alternative to the traditional wood, but has never reached its full potential in the market because other products were superior to it, such as Everlast Composite Siding. 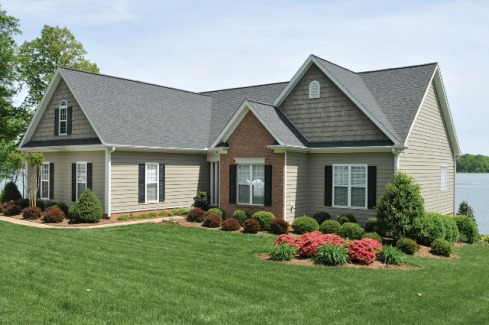 Everlast composite siding is lightweight and stackable, allowing for easy installation. 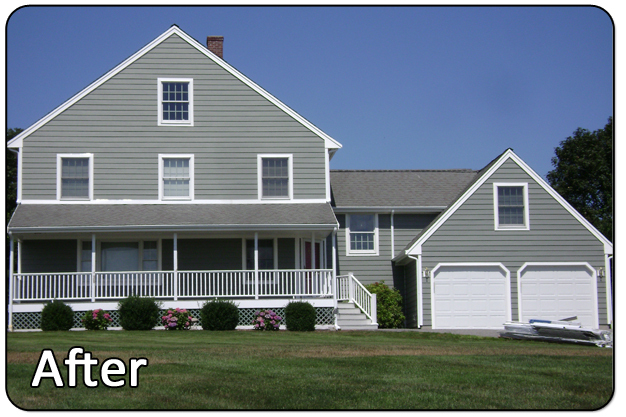 The siding is thicker than traditional vinyl siding, making it more resistant to cracks and splits. It can withstand strong winds and extreme temperatures. It is a composite siding made out of polymeric resin and granular stone that was intended to look realistic. It comes pre-painted with many colors and retains a natural wood feel and look, but with absolutely no wood fibers, so there are no worries of water absorption. These colors are locked in with anti-fade technology to keep the home looking beautiful. When exploring the cost of these two choices, it is important to note that there are upfront costs and hidden costs. Installation cost is completely separate from the cost to purchase the materials themselves. There may also be maintenance costs depending on the choice of siding. Keeping this in mind, it is possible that a homeowner could spend far more money on maintenance than the actual installation cost itself. For instance, aluminum has a very low installation cost, but it is pretty vulnerable to dents, rust and scratches, which could lead to costly maintenance costs, especially if one is not knowledgable on the prospect of exterior home repair. Visits can be routine and quick or timely and costly. Typically Everlast siding comes with a lifetime protection warranty, as well as a hail warranty. It is also fire-rated. In general, Everlast siding is very durable and not as prone to dents and scratches. It is easy to clean and take care of Everlast, as stains can usually be removed simply with a standard household cleaner. Ultimately, it comes down to homeowner preference and budget, and both choices are viable and will leave the home looking beautiful. However, it may be valuable it to investigate the levels of maintenance involved and whether or not the investment is worth it in the long run. All images in article are of Everlast Projects. 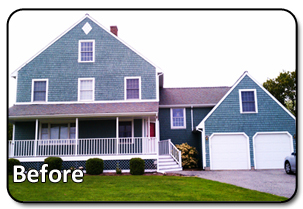 For Eastern New England homeowners looking for a smart and economical way to revitalize their home, Everlast..
Before house siding materials can be installed, the wall of the house it is to be attached to needs proper..